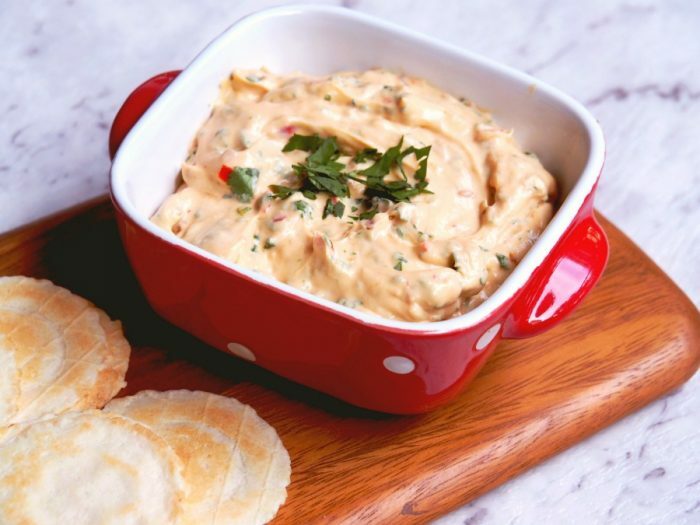 Making your own dips is so quick and so easy and this delicious dip is no exception. 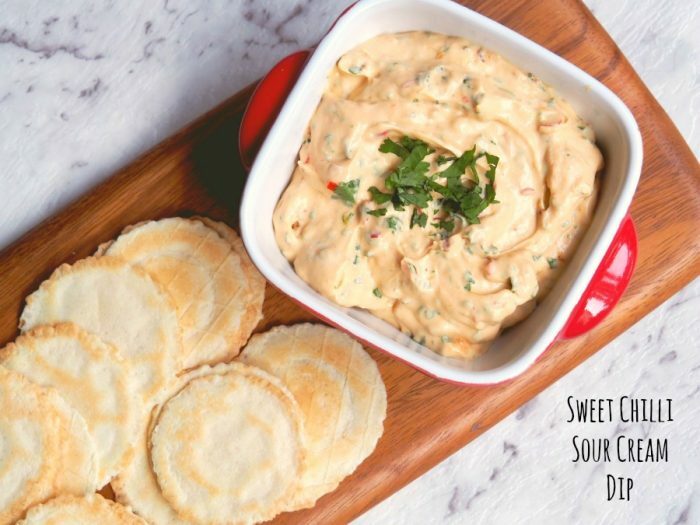 This Sweet Chilli and Sour Cream Dip has it all, it’s creamy, it’s tangy and it’s fresh. 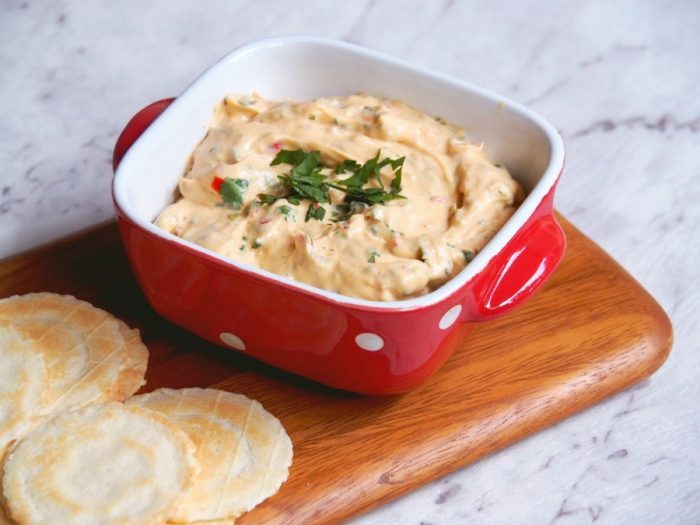 Don’t be put off by the coriander, but if it’s not your jam, you can just give it a miss. 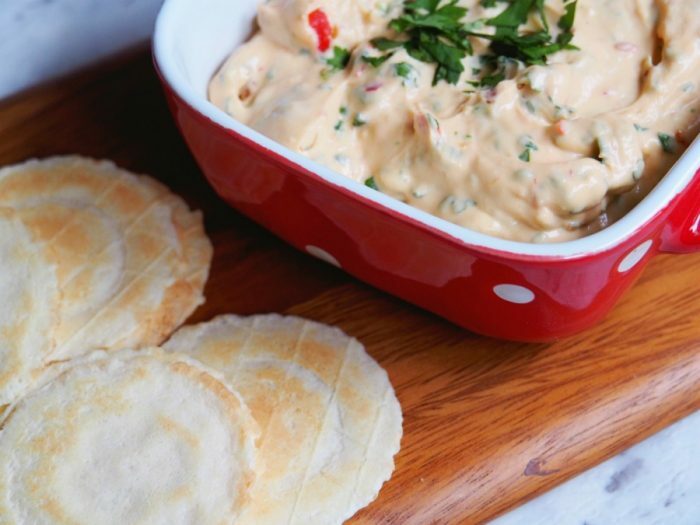 I should warn you though, with or without the coriander, this dip is highly addictive, it will have everybody double dipping! 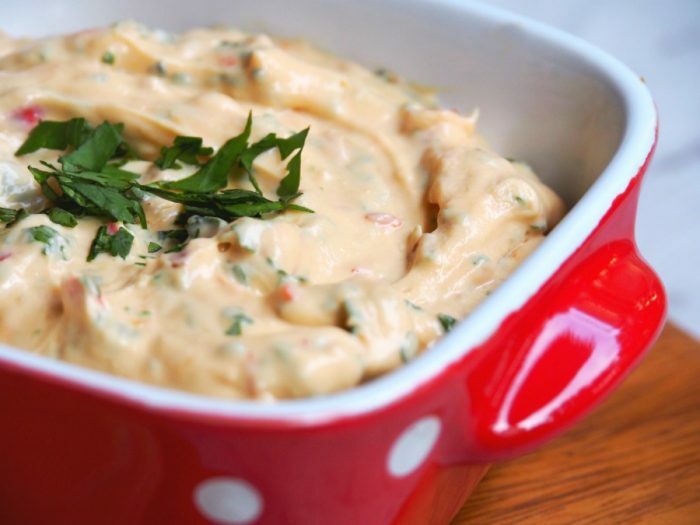 Beat cream cheese, sour cream and sauce in small bowl with electric mixer until smooth. Stir in coriander; season to taste. Place coriander in TM bowl and chop for 5 seconds on speed 7. Scrape down sides of bowl. Add the rest of the ingredients into TM bowl and mix for 10 seconds on reverse speed 4. Scrape down sides of bowl and mix again for another 10 seconds on reverse speed 4. Season to taste and serve with some extra coriander, if desired.